The Morning Dew collection by Mikimoto presents these stunning pearl drop earrings. Set in 18kt white gold, three graduated diamonds dangle a gorgeous South Sea pearl that measures 11mm for each earring in this set. 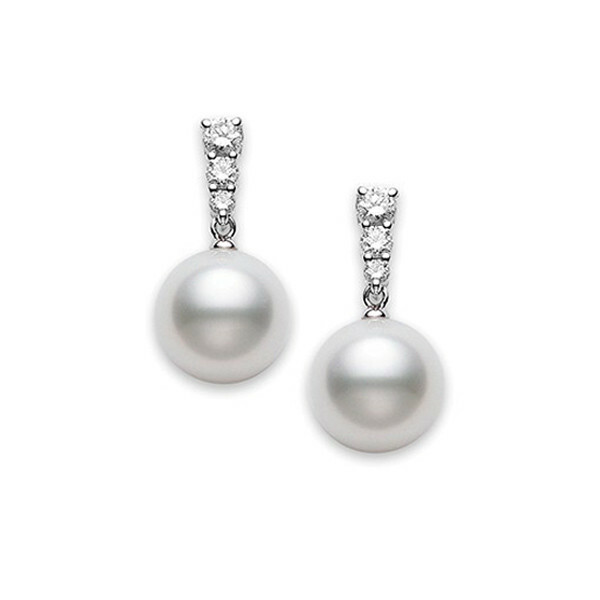 For the girl who is all about diamonds and pearls, this pair of Mikimoto earrings is perfect.